Hornbill Festival ….Where the gusto of tribal culture comes in grand! It is a popular event of Kohima. A large part of population of Nagaland depends on agriculture. Most of their festivals are related to agriculture. Considered as sacred events, the tribals of Nagaland believe the participation in the festival is compulsory. The Government of Nagaland conducts the festival to promote cultural heritage of Nagaland. It also encourages the inter-tribal interaction. Hornbill Festival is an annual event, celebrated in the first week of December from 1st-7th. It is held at Naga Heritage Village, Kisama that lies about 12 km from Kohima. The Festival is named after a bird, Hornbill. This is a widely respected bird that finds its mention in the folklore of the tribes of the state. Hornbill Festival exhibits a medley of cultural displays under single roof. All the tribes of Nagaland participate in the festival. 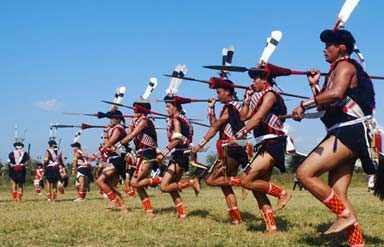 The aim of the event is to encourage the rich culture of Nagaland, which exhibits its extravagance and traditions. The event provides a closer understanding of the locals. 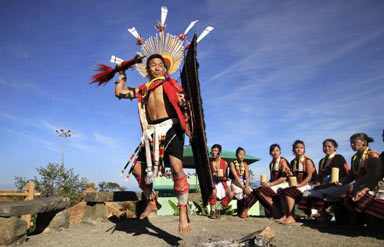 Visiting Nagaland during the Horn bill festival provides you the opportunity to enjoy the dance, song, food and custom of the place. A "Night-Bazaar" concludes the celebration of each day. The week long festival unifies one and all in Nagaland. 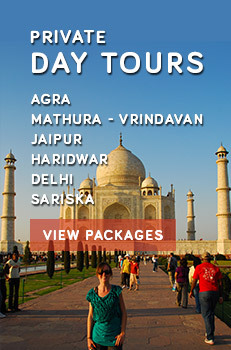 People come forward to enjoy the colourful performances, sports, crafts, games, food fairs and religious ceremonies. Traditional arts like wood carvings, paintings and sculptures are on display. 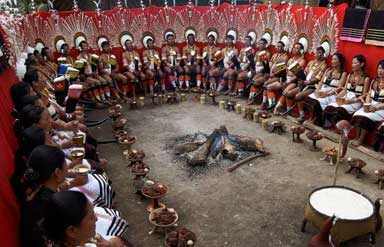 Witness the Best of Tribal Culture at Kohima Hornbill Festival!